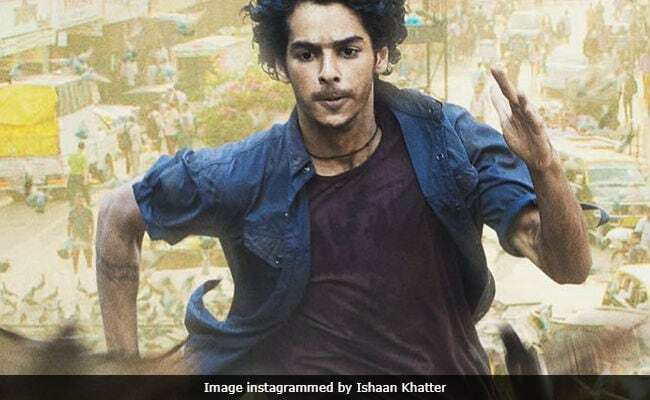 Beyond The Clouds Movie Review: Ishaan Khatter and Malavika Mohanan's film falls short of Majid Majidi's own lofty benchmark. The need to bridge the chasm between the minimalism of Iranian cinema and the shrill melodrama of Bollywood movies gnaws into the warp and weft of Majid Majidi's Beyond the Clouds, the first film the Oscar-nominated director has made outside his country. The slum setting of this ode to Mumbai recalls Slumdog Millionaire but without packing the propulsive punch of the Danny Boyle film. However, that wouldn't be such a drawback had Beyond the Clouds not been so overheated and underwhelming. The film tells the story of a boy and his elder sister battling daunting odds. 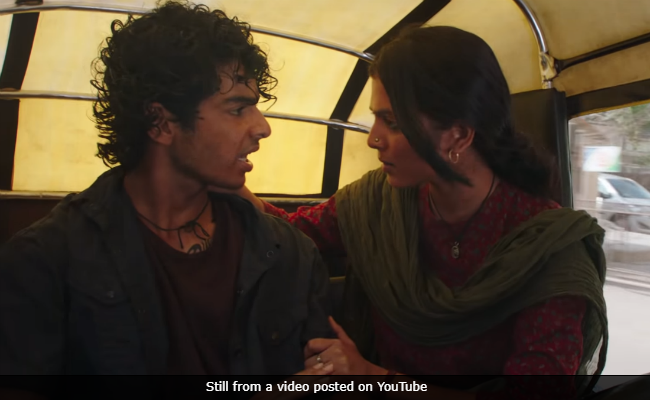 It is left to two acting tyros - Ishaan Khatter and Malavika Mohanan - to do the heavy lifting. The duo puffs and pants through the ordeal, giving full vent to a gamut of emotions - anger, grief, remorse, resolve, repugnance - but their efforts are way too uneven to lend the film sustained impetus. Be that as it may, Beyond the Clouds, without soaring to the kind of heights expected from a film by the maker of Children of Heaven, Baran and The Song of Sparrows, has moments of pure Majidi magic. The creative partnership he strikes with cinematographer Anil Mehta (in cracking form) and music composer AR Rahman (fully into the swing of the film's spirit) is felicitous. It yields some memorable flashes. That apart, the significance of Beyond the Clouds springs from history: Mumbai is where Iran's first talkie, Dokhtar-e-Lor (Lor Girl), was made in 1932 by the pioneering Abdolhossein Sepanta under the production banner of Ardeshir Irani's Imperial Film Company, a year after the release of the company's Alam Ara. While scurrying in and out of the lanes, bylanes and fringes of the bustling, chaotic city, Majidi also returns to the very roots of image-making, of both the static and moving kind, by peppering the film with shadows, silhouettes and objects viewed either through diaphanous screens and scrims - this includes an impromptu rendition of Muqabla muqabla Laila by Khatter - or as reflections of hand and finger gestures projected on blank walls. He also uses rudimentary etchings and drawings as an organic part of the interactions between the characters, especially of the uneasy, distrustful engagement between the male protagonist, a Mumbai lad on the run from the law, and an elderly Tamil woman (who speaks only her native tongue) and her grand-daughters who stray into his benighted orbit. These visual touches, enlivened appreciably by Anil Mehta's evocative lighting and spiffy camerawork, hark back to the storytelling traditions of the two countries, homes to ancient civilisations with rich pictorial cultures. They evoke the physical dimensions of Iran's traditional 'saye-baazi' and India's hoary shadow puppetry as well as, tangentially, the bas-reliefs of Persepolis and rock art of Malayer on one hand and the cave paintings of Bhimbetka on the other. It is another matter that all this tends to get lost somewhat in the rough and tumble of the quest of instant and repeated gratification. It is also true that one has to wait until the very end for the film's best shot - two hands, one a woman's, the other a young orphan boy's, emerge from behind a prison door and stretch themselves out gingerly, one over the other, into the rain - a symbol of redemption and regeneration, and of nature's inbuilt way of washing away the grime of mundane struggles and conjuring up the hope of a brighter night and a clear glimpse of the moon where, in the child's imagination, departed souls go to rest. That is what Beyond the Clouds is all about - amid the lust, violence and betrayal is the anticipation of the eventual triumph of humanity. Tara (Mohanan) and Amir (Khatter), have had it rather rough, with the former's abusive husband being a source of severe distress to both siblings. The duo seeks to reconnect with each other and reach out to those that cross their ill-starred paths. Amir, young and reckless, wants to make a fast buck. He peddles drugs for a crime lord (Shashank Shende) who runs a smuggling and prostitution racket. Tara, struggling to live down the after-effects of a bad marriage, lets her employer exploit her sexually. A slimy washer-man, Akshi (filmmaker Goutam Ghose), has his eyes on Tara. A molestation attempt triggers violent retaliation and the man ends up in a hospital, comatose and unable to speak. Tara is led off to the slammer. 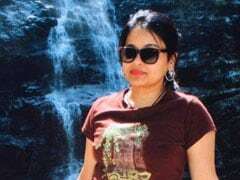 Her fate now depends on the assaulter recovering and making a confessional statement. So Amir takes it upon himself to keep Akshi alive until he is ready to speak. While all this may sound like a grown-up, dark and pessimistic variant on Majidi's Children of Heaven, Beyond the Clouds is actually closer in spirit to the director's 1992 debut film Baduk, a tragic tale of a boy and his sister who are kidnapped and sold into slavery. The boy, who is forced to smuggle contraband goods across Iran's border with Pakistan, is determined to liberate his sister. His struggle, like Amir's, is fraught with grave risk. Beyond the Clouds employs the same narrative construct placed in a different setting and context. It thrives on taking in the sights and sounds of a seedy part of Mumbai where survival is a daily, bruising struggle. This is a world apart established in the opening shot itself. The camera is trained on cars speeding up and down a flyover. A giant hoarding overlooks the elevated span and invites customers to buy into a mobile phone plan. The camera then tilts down and glides into another universe that spreads out underneath the structure. It is here that we first espy the young male protagonist and his friend riding off on a two-wheeler on a dirt-track running between two massive sewage pipes. Their sense of urgency is palpable. The frenetic pace and energy of the early minutes of the film soon give way to an exposition of the key spaces where the action is to unfold - a brothel, a dhobi ghat, a house that Tara has acquired thanks to 'gifts' from her employer and the environs of the shop where Amir delivers his illicit packets. 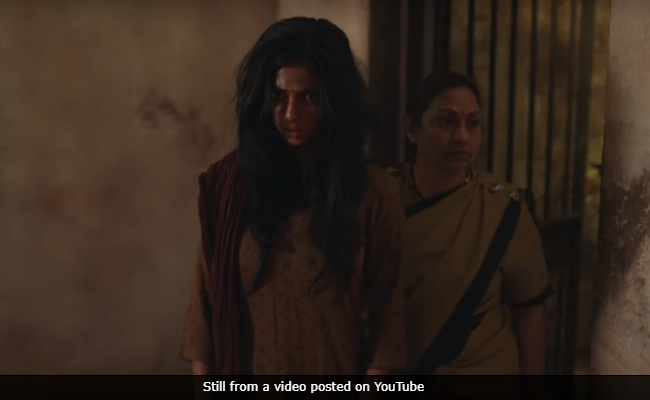 Half an hour into the film, the hospital ward where Akshi is bed-ridden becomes another vital site of the action into which the injured man's family - his mother (G.V. Sharada) and two daughters - are introduced at the halfway mark. 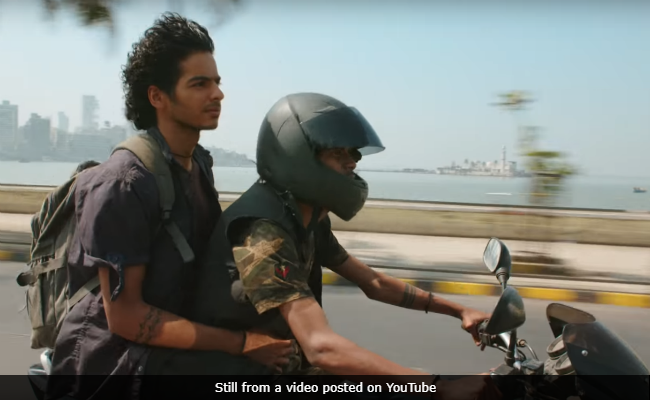 Beyond the Clouds, in strictly dramatic terms, is eventually bland fare because it floats in a rather awkward zone where none of the languages on the soundtrack - Hindi, English, Tamil, a smattering of Marathi - seems real and rooted. The Hindi dialogues by Vishal Bhardwaj are steeped in standard Bollywood argot rather than in the lingo of the street. "Main mar raha hoon tere liye, Tara. Tu meri hain, tu aur kisiki nahi ho sakti", or something to that effect, is what Akshi declares to the object of his lust as the two disappear behind the drying bedspreads hanging from the dhobi ghat clothes lines. The words stick out. Similarly, a friend says to Amir when the latter offers him a wad of currency notes: "Tune mere liye bahut kuch kiya hai. Tu paise rakh le. Tere kaam ayega." Sounds stilted? It is. For all its evocative daubs and dashes, Beyond the Clouds falls short of Majid Majidi's own lofty benchmark. It is a not so great film from a great director.